Washington, DC, October 11, 2017: The Washington Oxi Day Foundation is pleased to announce that Peter Vlachos will receive the 2017 Jaharis Service Award during the 7th Annual Oxi Day Celebration in Washington, DC at the National World War II Memorial on October 26. The Jaharis Service Award recognizes an individual for dedicated service during the Korean War as well as his or her contributions, in the spirit of Michael Jaharis, to the Greek-American community, the United States and to the world. Emmanuel Michael Jaharis was the son of Greek immigrants from the village of Aghia Paraskevi on the Greek island Lesvos and was born and raised in Evanston, Illinois. Shortly after graduating from college in June of 1950, Jaharis was called to duty to serve in the US Army during the Korean War. He was deployed to Zell am See, Austria to help run the medical and pharmaceutical supply. After his service, while working full time as a pharmaceutical sales representative, Jaharis earned his Juris Doctor as a night student from the College of Law at DePaul University. In 1988, Jaharis founded Kos Pharmaceuticals, where he led his team to pioneer innovative drug therapies to treat cardiovascular disease. Aside from working hard to improve the lives of millions through pharmaceutical products, Jaharis along with his wife Mary worked tirelessly and gave generously through their public service and philanthropic endeavors. In 1986, Michael and Mary founded the Jaharis Family Foundation, Inc. Jaharis was a model of how to offer time, energy and intelligence in pursuit of a better world. Jaharis is survived by his wife Mary, their children Kathryn and Steven and his wife Elaine, and five grandchildren, as well as by the millions of people whose lives he has positively impacted. Vlachos joins last year’s distinguished recipient John Payiavlas, the first ever to receive this award. Peter Austin Vlachos is a native New Yorker. 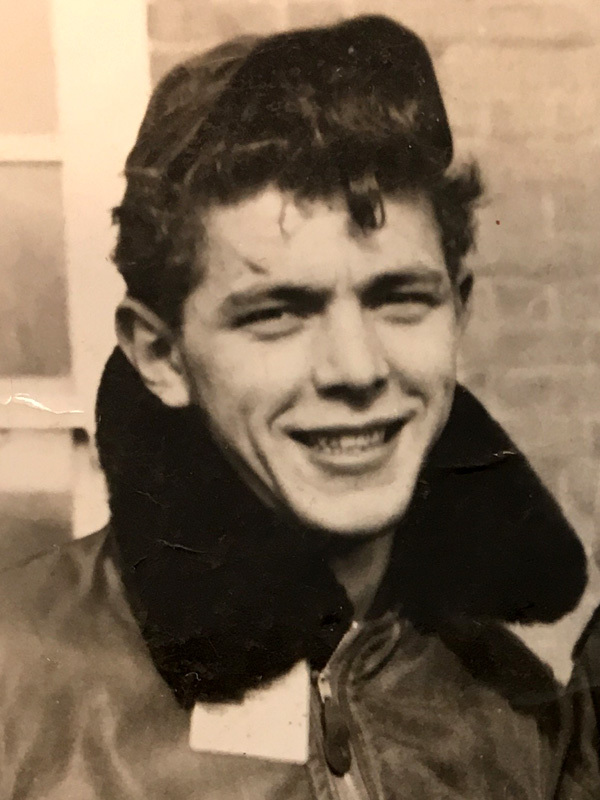 His father, Emmanuel Vlachos, immigrated to America in 1910 from Hydra, Greece and voluntarily joined the U.S. Army, serving in France during World War I.
Peter Vlachos served during the Korean War in the 93rd Bomb Wing of the Air Force Strategic Air Command and flew with the 328th Bomb Squadron as a radar bombing and navigational technician. After the war, he graduated from Colby College in Waterville, Maine in 1958. He worked on Wall Street at Amott, the Dreyfus Corporation and Neuberger Berman and in 1989 founded Austin Investment Management, Inc. In 2016, Vlachos helped establish and joined Adalta Capital Management LLC where he is a Managing Director. Over his career, he has served many non-profit organizations in varying capacities. Vlachos has been a lifelong supporter of the arts, humanitarian causes and education, having served on the boards and investment committees of Colby College, Outward Bound, Scenic Hudson, Metropolitan Montessori School, HANAC, Inc., and The School for Strings. Vlachos’s commitment to good works and philanthropy includes serving on the Archdiocesan Council of the Greek Orthodox Archdiocese of America, as well as being Treasurer of Faith: An Endowment for Orthodoxy & Hellenism, Vice President of the American Associates of the Saint Catherine Foundation, and Chairman of the Investment Committee of The Archbishop Iakovos Leadership 100 Endowment Fund. Vlachos currently lives in New York City and Martha’s Vineyard with his wife, Dr. Susan Deakins. He is the proud father of Zoë and Dimitri, father-in-law to Ho-Young Yang and Maja Kovalova Vlachos, and grandfather to Zara, Athina-Anna, Claire Natalia and Alexander Ely.